The powder coating process at APX York Sheet Metal forms a corrosion-resistant finish that you can apply to steel, brass, aluminum, iron or copper. In fact, almost any type of metal can undergo the powder method that creates a similar look to paint but is more durable. The technique begins by stripping the item to its bare metal by removing paints, finishes, rust, grease and dirt. The technicians at APX York Sheet Metal then spray it with a dry powder that resembles flour. Sprayed through a gun that electrically charges it, the dust sticks to the metal. We bake the material in an oven at 400 degrees F. The baking procedure is what allows the powder to form a gel that covers the entire piece. When you rely on our powder-coated steel fabrication in Northern Maryland, you will see the many benefits of implementing the powder, whether you’re coating iron or steel. Our solutions are resistant to rust, chips, cracks, peeling and fading and are mar-resistant. It protects your unit from corrosion and is an environmentally-friendly process. Our powder coating finish in Central PA covers fabricated sharp edges and is a hard, abrasion-resistant method. It’s less susceptible to imperfections compared to matte or gloss finishes and hides scratches and scrapes from your piece. APX York Sheet Metal is your go-to powder coating company in Northern Maryland, with hundreds of colors and textures available for your project. Ranging from purple, blue, green and yellow to red, orange, brown, black and pink, our colors come in different shades as well. Our experts can coat multi-colored sections and provide exact color matching. People most often use our powder coating services for their custom fabricated steel and aluminum parts. 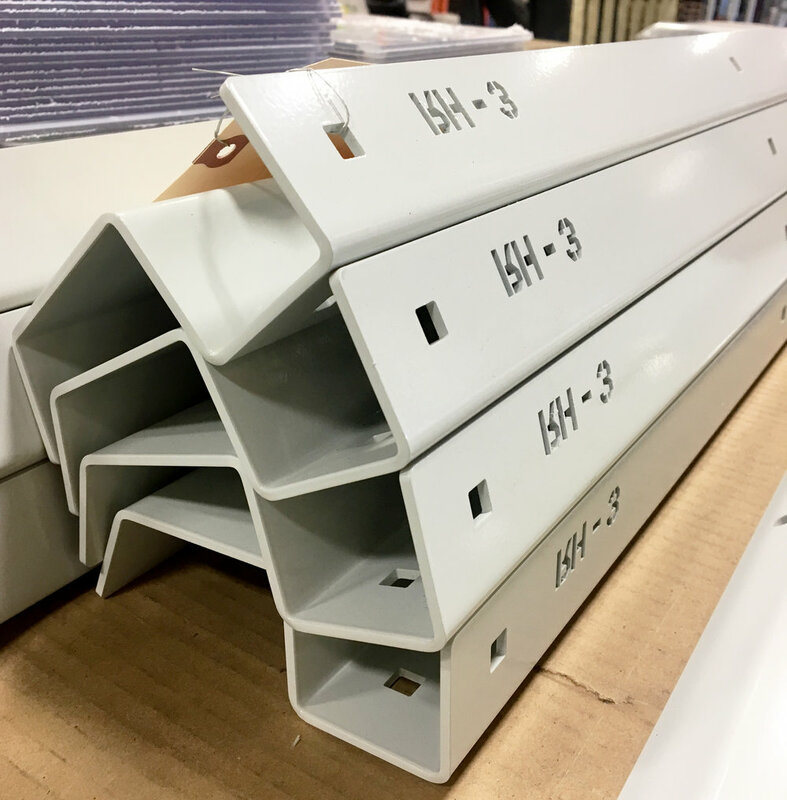 It’s vital to consider making accommodations for extra surface thickness after application and to expect rounded edges after we deliver our powder-coated steel fabrication. If you are searching for a company to powder-coat your custom parts, we are the ideal sheet metal fabrication company that provides quality and reliable solutions. As a family-owned business with 71 years of experience in the industry, our specialists offer quick turnarounds and superior customer service and can take on projects in large quantities. We also complete smaller and more intricate jobs as well, and we handle all of our shipments and processes in-house. Contact us online or call a representative at 717-767-2704 to learn more. You can also submit a contact form to receive a free quote.